Erick van Egeraat has received the second prize of the US Award 2009  Workplace: Quality and Innovation in the category Architecture for the office buildings in the Milanofiori North mixed-use development in Milan, Italy. Erick van Egeraat designed the Masterplan for the Milanofiori North area in 2003. The project consists of a self-contained entity comprising 218,000 m2 and offering a variety of functions including offices, housing, commercial, retail and leisure facilities, a cinema and a hotel. Erick van Egeraat is realising several parts of the Masterplan with his own office and will supervise the execution of the entire Masterplan until its completion in 2011. The Masterplan is being developed in two phases. Construction of the Milanofiori North Business Park started in 2007. Phase 1 was completed in 2009. 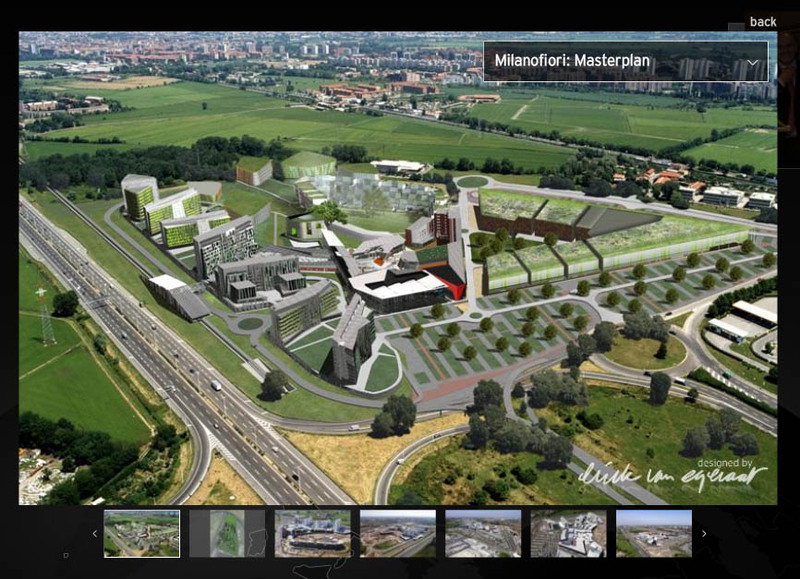 Erick van Egeraats design for the Milanofiori Business Park was chosen from more than 100 international entries. Erick van Egeraats project was honoured for the quality of the masterplan and the architectural-functional-ecological mix. The buildings are designed in close relationship with the environment, the utilisation and the consumption of energy sources. The facade cladding is, in order to control heat dispersion, carried out according to the latest available techniques. The technological systems feature a good energy performance and solar panels are used to produce energy. The first prize for architecture went to Mario Cucinella (MCA Architects) for his design of the 3M Italia office in Pioltello. The annual competition is organised by the US-Ufficio Stile Magazine.